New listing. Absolute beach front with great views. Property 3: New listing. Absolute beach front with great views. Kent Homestay - Peaceful, secluded apartment with water views. Close to town. Property 5: Kent Homestay - Peaceful, secluded apartment with water views. Close to town. ocean, bush, beach and seclusion. Property 22: ocean, bush, beach and seclusion. Cute kiwi bach with wonderful views of Ocean Beach. Easy walk to town. 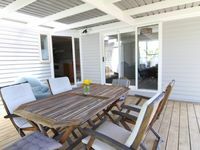 Property 32: Cute kiwi bach with wonderful views of Ocean Beach. Easy walk to town. Okete Landing - Lifestyle retreat on Raglan harbour with grass tennis court. Property 34: Okete Landing - Lifestyle retreat on Raglan harbour with grass tennis court. Walk to Raglan town and sea! Property 42: Walk to Raglan town and sea! Raglan Surfers Retreat House with amazing views! 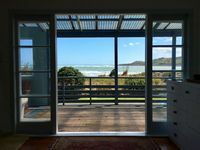 Property 49: Raglan Surfers Retreat House with amazing views! Beautiful spot, house was well set up for our holiday. Very grateful we could take our dog. Great place! Just out of Raglan and very near to the beach. Lovely house at the right location.